We were promised news on Pokémon Sun and Moon today and, thankfully, it was delivered. The Pokémon Company confirmed release dates and the starters, along with a shiny new trailer. There have also been updates to the official website, including some pleasing details on Rowlet, Litten and Popplio, along with provisional box art. We thought we'd bring the information together in a nice gallery; let's be honest, we can't get enough of Pokémon. Both frivolous and hard-working, Popplio can easily get carried away—unleashing enough power in battle to make quite a spectacle! 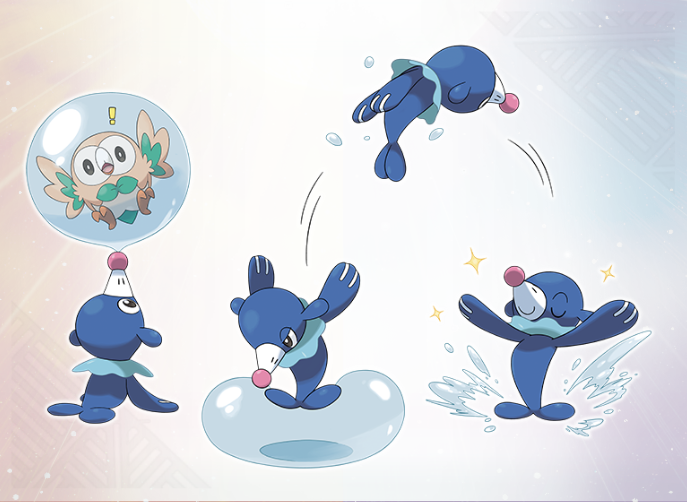 But Popplio's determined spirit means it can usually be found practicing hard on its balloon skills. So there you have it, the provisional box art and some interesting details on the starters. Are you pleased with the choice of Rowlet, Litten and Popplio? Let us know in the comments. I'll be honest, I can't remember if I was Team Moon, or Team Sun. Moon legendary reminds me of Antasma from M&L Dream Team. Sun legendary looks like a lion that hits the gym daily. Sun legendary looks cooler, so I'm going with Sun. Popplio is my favorite so far, definitely my starter choice this generation. I really liked the new legendary!! Well designed from the sun and moon inspirations, it also shows powerful personality and respect! And the owl, omg, it's so cute!! And an owl that is more cute than the kitten one! That moon...bat(?) has a bit too much going on in the design for me, but the sun lion is cool and we've finally got a great grass starter again, so I'm happy. 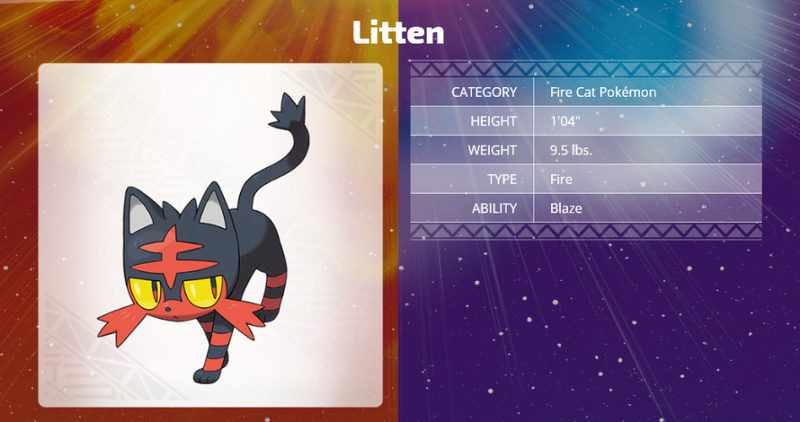 I just hope now that Litten doesn't grow into a fire/fighting type. "It has a habit of turning its head in battle to face its Trainer and receive instructions." @NintyFan: Well, there were those trademarked names a while back, Solgaleo and Lunaala. I think they mean sun lion and moon wing so I'd say there's a good chance those are their names. It's honestly quite difficult to pick from these, they're all very nice. The Japanese advert has so much more heart than the fairly generic western version. That's it. I've decided. I'm choosing Rowlett. Having a hard time picking between Sun and Moon, though. Both legendaries looks awesome, but I'll go with the bat, I love the Moon design! Oh my goodness the Moon legendary ticks every box for me! 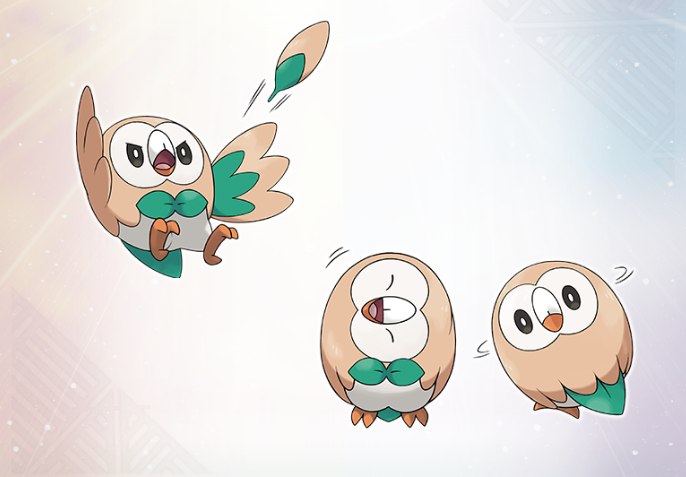 Also can't wait to see Rowlet's evolutions. Consider me well and truly hyped! Super excited! They really stepped up in the Alola region. Gamefreak is finally getting back to making good Pokemon titles. All three starters look awesome!!! As well as the legends! I'll be picking Moon up even tho Sun looks great. I always seem to pick the fire starter for some reason. Said I wasn't going to pick it this time but that stupid cat has me sold. This is the first time in ages that something has lived up to my expectations. The game engine looks fantastic, the tropical region looks awesome and the pokemon are great designs. Couldn't be happier right now. Popplio looks so cute. Oh man, these are really cool. I like all three. Litten's mine though. Come at me. I'm actually very pleased with these starters. For me the grass starter will be the best (looking) for me out of all of the other grass starters. Probably would have pulled me from the fire starter if not for the fact that it is a little cat. Will be hard to let the fire cat evolve. The water starter if feel like it could go very well as it evolved or horribly wrong as it evolved... will have to see in time. But this looking like the coolest trio of starters for me hands down. Third generation in a row where the decision between Water and Grass has been difficult. I guess I'll just have to see what they evolve into before I decide. I like the design of the starters much more in the official artwork than I did seeing them in the trailer for the first time. The additional poses help, they add some personality. I'm not a cat person, but I have nothing against cats either. I'm leaning more towards the owl. Okay that Japanese trailer was awesome. Amazing tone of direction! Can't really decide, I'll have to wait for the evolved forms. Lion legendary is awesome. My first exposure to Pokémon was a movie where a lion looking Pokémon saves Ash and friends from a giant castle overrun with crystal. I can never remember the movie title or his name, but he's been my favorite ever since. Sudowoodo is 2nd. Poplio would be my only choice, there is no 2nd. The legendaries are blatantly going into Digimon territory now, design-wise. I think I like the moon one better. And Rowlet looks adorable! Sun + Rowlet or Litten I really don't know, both looks awesome. Okay I'm getting Moon for sure! I'm not sure about the starters, they have weird designs. But then I remember that I thought X and Y's starters had weird designs at first too. Definitely getting both games and will have to pick up multiple copies since my kids are as into Pokemon as I am. So hopefully I will be able to get all three starters in one game. Can't wait for November. Definitely my number one game of the holiday season. Owl for me. Can't say I'm much of a fan of the rest, including the legendaries. There's no amiibo logo on the box art........ Although I would be surprised if amiibo don't end up in the game, probably in the form of Pokemon amiibo cards. Those would make Nintendo and game freak MILLIONS! Well moon it is then! I'm guess the Sun Pokémon is Fire type. I can't tell what the moon type is. Maybe Dark/Flying. We have a lion and bat as the cover legendary Pokémon. Not bad. Holy Crap!!! I just watched the JP Trailer! I can finally be black, like dark skinned black!! I'm SO HAPPY RIGHT NOW! THANK YOU! IT'S ABOUT TIME!!! I'm a dark skinned black guy so seeing this FINALLY be in pokemon makes me SO HAPPY! The region looks so lush and gorgeous! Obviously have to go with Litten, Fire type and a Cat, can't get much better than that! 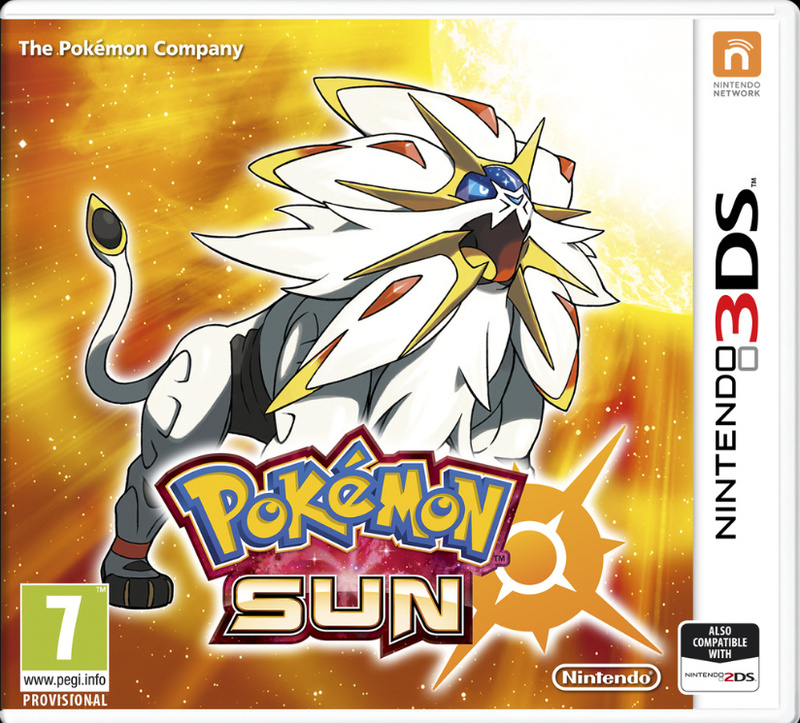 Also will be going for Sun as I have a thing for the Red version of Pokemon games. I'm easily picking Moon. I had my eyes on it even before seeing the legendaries. As for the starters... sigh Honestly in my opinion, Litten is the best-looking. And I'm a little disappointed in Popplio being based off circus seal's. If I weren't already waist-deep in this self-made tradition of always choosing the water starter, per first playthrough of each new game, I'd have picked up Litten faster than you'd expect from a water lover. Still, so hyped up for all of this and I'm glad I took the day off work to catch that trailer on youtube the second it launched. This year's gonna be amazing for the series! Out of the Starters, as of the moment I only really like Litten. Hopefully when it comes time to announce who they are, the evolutions for Popplio and Rowlet look nice. But for now, Litten is currently my favorite looking starter. As for the Legendaries, they look like Digimon. Not complaining, though. These are a bit weird looking, but they look kinda cool. I was going to get Moon, and while I prefer Sun's mascot legendary, I think I'll still get Moon. out of the 3, i'm gonna go with Rowlet. i have no clue why, i just want it. I will probably pick Rowlet. Or Litten. Or both, since I more than likely will buy both at launch. Maybe it's my infinite love for all things dewgong, but I'm definitely choosing popplio as my starter. And his name shall be Magnitude. Pop pop! So Pyroar Mega-evolves into a Legendary? I don't like how the lion is just levitating in the cover. X and Y along with ORAS had more detailed covers that showed the Pokemon in their habitat. Wish they'd bothered with that this time and stuck Solgaleo on top of a mountain at sunrise or something. #teamsun FTW! Plus, I will definitely be getting Litten! Can't wait to see is evolved forms!! Sun legendary looks a hybrid of Florges and Pyroar (two members of my Y final team). Is it just me or does this region look like the first village from Final Fantasy X? @CrazedCavalier these are not the definitive versions of the covers, they're only provisional. Legendaries look cool, much prefer the sun lion, hope the starter evolutions look awesome as I can't decide on which one. I hope there are multiple islands besides the one shown in the trailer. It looks way too small to hold 8 towns and a Pokémon League Building. The Moon legendary is kind of winning me over. Welp. Owls. I love owls. Also, gonna get Moon. Gonna need to see the final evolutions before I decide on my starter. But I'm currently leaning towards Moon as far as legendaries. Have to say after watching the awesome Japanese trailer for it, I'm even more excited for Sun / Moon in November! Soo glad character customization from XY is back & really digging the new region & the new starters too, especially Litten. As for the box art & legendaries, I dig 'em both, really liking their design. Will certainly be picking up a copy of each come day one. @rjejr I'm pretty sure its entei. And pokemon movie 3. I can't choose between the starters XD. The Sun legendary looks great too. Also, was this leaked beforehand like the Pokémon Direct? I'm probably going to get both copies of the game and an extra to force my girlfriend to play. So I'll just pick the two she doesn't. Most likely the cat and seal. Hopefully their evolution designs are good. I dont know if its just me, but I haven't liked the final designs of the starters since black and white, except maybe greninja. Yeah thanks, thats him. Too bad it wasn't named like the newer movies, would probably be called "Pokemon: Entei into the Unown" and then I could remember both his name and the movie title. Sounds a lot better than "Pokemon 3: The Movie". That's almost as bad as "New 3DS". 22% on Rotten Tomatoes? Must not have aged well. Guess I should rewatch it for it's 15th anniversary anyway. Glad to see trainer customization is back though. I wonder just how many more pokemon we're gonna get. Now just show me the dolphin!!! I have a cat named Spicy and I wanted to name a Skitty after her but the profanity filter won't allow it because it can't tell that I'm not using the first four characters as a racial slur. If they fix that for this gen (maybe just have an exception list of common words that have otherwise-banned strings in them? ), I'm getting Litten, but otherwise I'm pretty torn between all three. the region looks to be based off Hawaii. The starters are alright. I just don't know how I feel about having a Grass & Flying starter though. Maybe it changes in its final form. The Legendary Pokemon for Sun & Moon are basically Pokemon versions of Mega Man Battle Network 6's Cybeast Gregar & Falzar!!! XD That's fine with me! Cool beans! Boxart is boring, Pokemon are cute and cool, but they're like Hoothoot, Skitty and Seel with new designs. I hope the rest of the new ones aren't going to just make me feel like they're actually really started to run out of ideas. 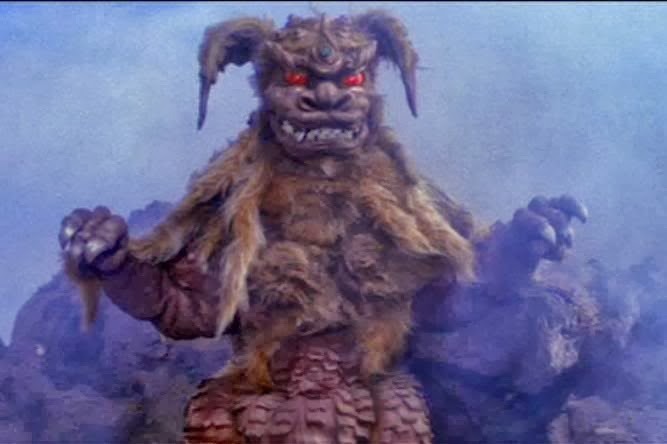 @1nightinthepit Yup, it was Entei. But I always confuse him with Pyroar. And now probably with this guy. 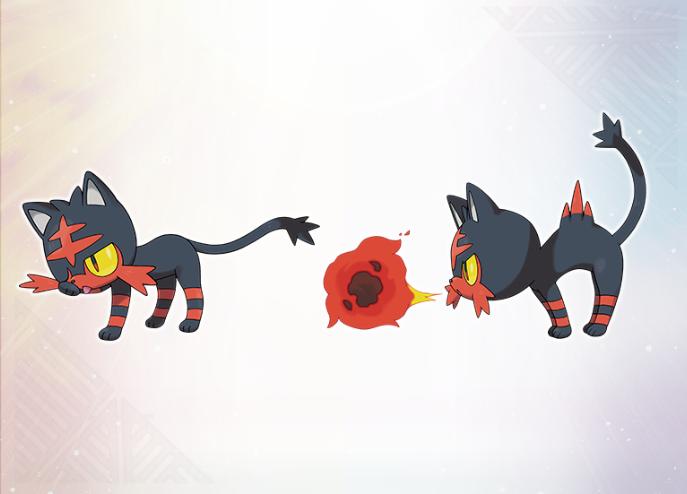 And whatever Litten evolves into will surely look like them also. Of course it all goes back to my childhood and King Ceasar. Is 1 night in the pit like a night in the box? @SanderEvers Way too much legendaries! Yeah, those Pokemon movie titles are always twisting the english language to the breaking point. But at least they name them now. @Luna_110 Somehow that page you linked me to was all text, no pics, but yeah, that was him. I really need to go through my in box thoroughly rather than replying to everybody 1 at a time. I don't really like either of the legendaries though. They look like some over-designed drawings from DevianArt, but I'll likely get Sun because I really don't like that glossy croissant creature. I think I'm leaning toward getting Moon. However, I'm torn between Rowlet and Litten as my starter. I almost always start with the water Pokemon, so I'm changing it up this time. Starters are interesting. They do have personality. As for the Legendaries, very impressive! Now, the Sun Legendary looks like its a pure Fire type, while the Moon Legendary looks like it could be two of these possible types... Psychic or Dark, Flying or Dragon... Or maybe even Fairy? We will see, but it doesn't look like one Legendary will have the type advantage over the other like with Xerneas and Yvetal. Anyway, its because of the potential in the types the Moon Legendary could be that Im leaning towards Moon. Am i the only one who thinks about Ragyō Kiryūin from kill la kill if i see the legendary pokemon on the moon box? So Leafage could fill the 40 power 100 accuracy gap of Grass moves? Would be boring if it did. Moon legendary for me, I love it's design. I'm still not keen on the Sun legendary design, but I'll get used to it eventually. As for starters, I want the way past cute grass owl. Yay, they got rid of the ugly circles under the pokemon during battle and the chibi human models. I am really loving the new graphics and general style. Also #TeamLitten #TeamMoon. I hope the moon one isn't dark and flying cause the Y legendary was that. Flaming hairballs. XD Now I love Litten even more. Rowlet is starting to grow on me, too. Still not sure if I should get Sun or Moon, so I'll keep an eye out for the inevitable exclusives. I'm so excited for these. I'm having a hard time picking which starter I want. I like that they'll know type specific moves from the start instead of just tackle or scratch, but might make your rival battle a bit unfair. Oh boy, here I go getting hyped again. Pleasant surprise seeing the Japanese trailer! This game is a no-brainer for me in November, but which one? I've focued on fire-types before, and water...grass, however, is a different story. 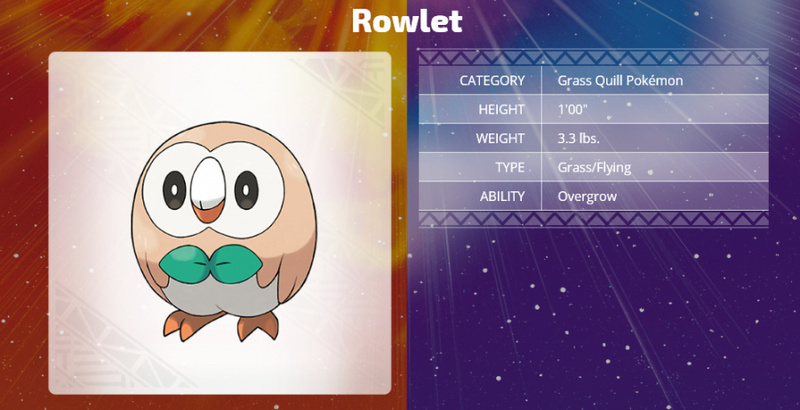 Rowlett seems to be the choice for starters for me right now, and leaning toward Moon, but we have 6 months to go. I might pre order when it I can, but I'll wait until the target date gets closer. @amiiboacid It could be dark and steel. That would be a better typing in terms of being different but it would probably be weak to Sun Lion. Maybe Sun Lion is a new type. Light maybe that is not strong and weak to Dark. Don't see it happening though. These starters are actually pretty awesome! Moon's Legendary is also quite fascinating. Sun's is cool, but a fire lion? Kind of lame, if you think about it, it's a common trope. But a dark looking bat/demon...thing that is Moon's Legendary? Nice. Maybe not my favorite box Legendary, but it looks unique enough to make me curious as to what the story will be like! Excited to see more in the future, Gen VII is going to be really awesome! I'll start with the grass owl. and how do i post a article? I'm so happy that they're finally going with a grass-type bird starter! Now we finally have bird starters of all 3 types! Let's all say hello to Solgaleo and Lunaala! I always go with the water type as a starter, but I like the idea of having a leaf/flying type right off the bat there. I might change things around in this one. I wonder what will happen in the anime? 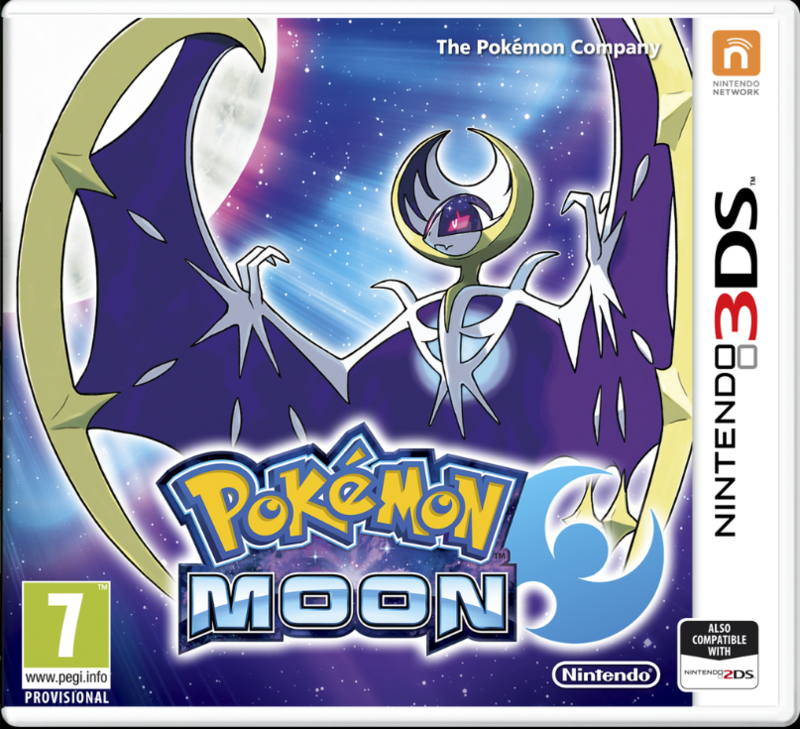 Isn't the Pokemon Sun mascot called Solgaleo and the Pokemon Moon mascot Lunaala? Man, that ad is so cute. Kudos, Pokemon Company. Good thing I have a few months to decide which game I want to have. They look promising, really fresh. I can't wait to hear more about it. I am thinking about going team moon and choosing Rowlet as my starter! 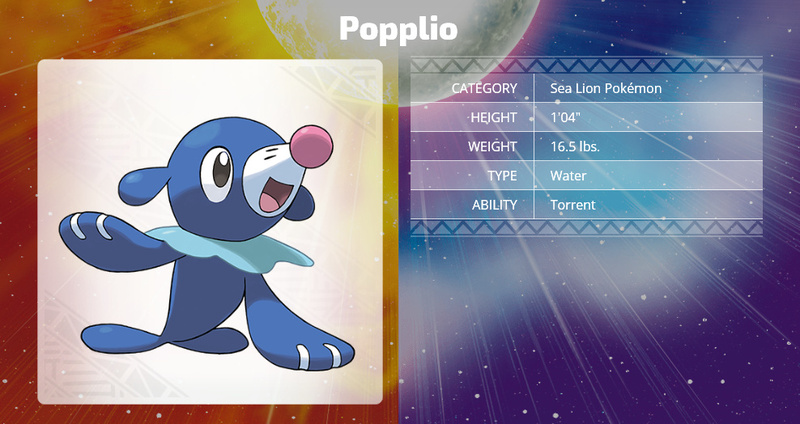 Popplio is the dumbest looking water starter we have ever had. The other 2 are alright though. I think I'm going to go with Rowlet. Who can say no to a Pokemon that looks to you so cutely for approval? So Bulbasaur, Cyndaquil, Torchic, Turtwig, Oshawott, Chespin, and Rowlet for my starter choices. If I had to pick one I'd go with Pokémon Sun, though I might have to save up and get both. I can't decide between starters yet. For me, Im getting Pokemon Sun, and probably chooseing Litten. SO hyped to get Sun. Defiantly gonna pick Rowlet for the starter.